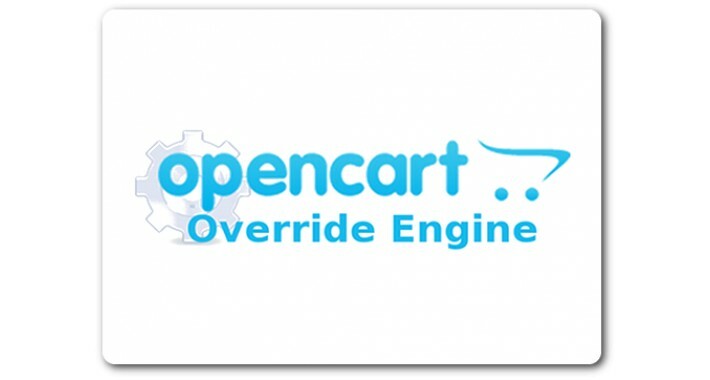 This package provides a replacement system engine for OpenCart. It uses the same MVC architecture as the standard OpenCart framework. All instances of controller and model classes, and most of the library classes, are created by a special factory class. An additional override feature is supported. This allows 3rd party addons to do changes to the OpenCart core classes, templates, and language files. Core controller, model and most library classes can be extended and their methods be overridden in a normal object oriented programming manner. VQmod is supported, too. The new Override Engine allows the modifications of OpenCart core files to be done using object oriented programming techniques, whereas VQmod employs dynamic XML search and replace operations for this. For further support please use the OpenCart forum.